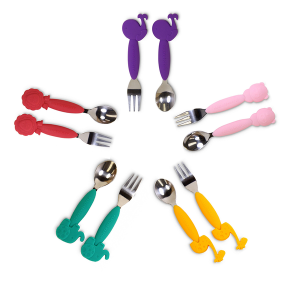 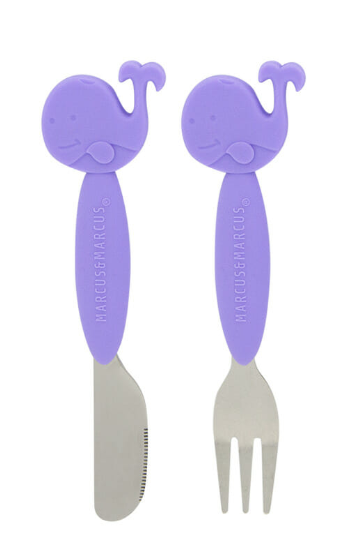 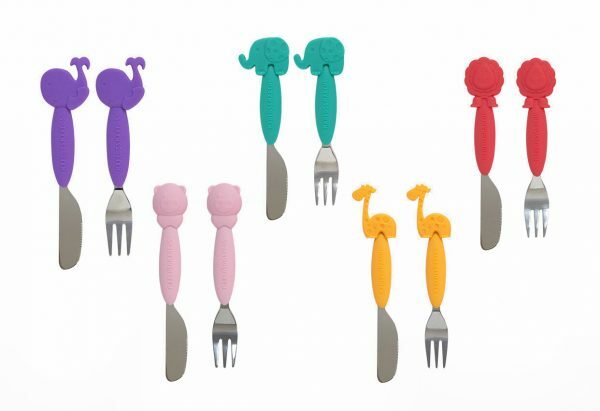 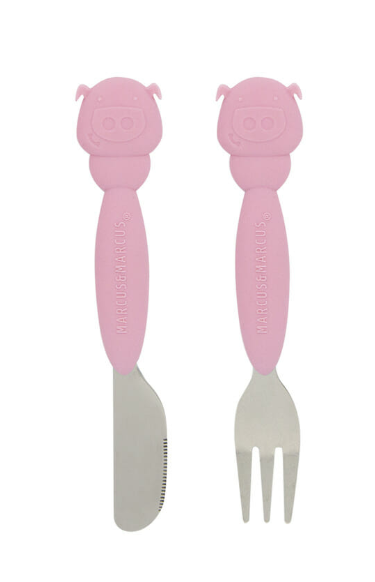 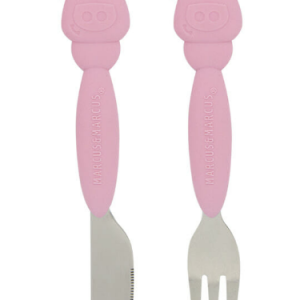 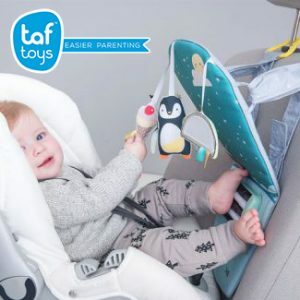 Once your little one has mastered the fork & spoon set, it’s time graduate to Marcus & Marcus Fork & Knife set. 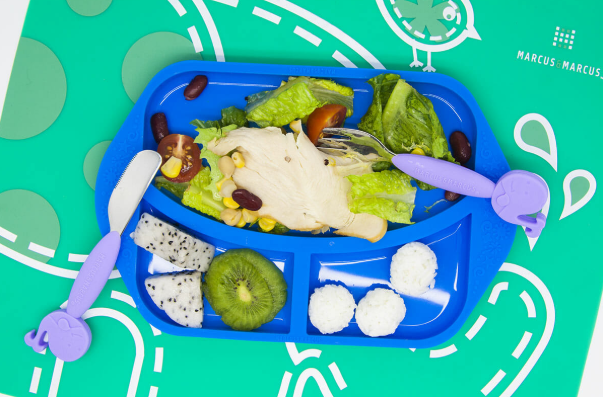 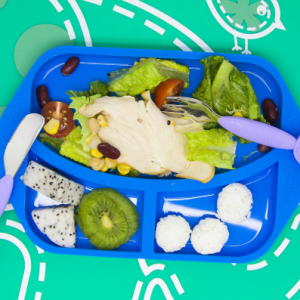 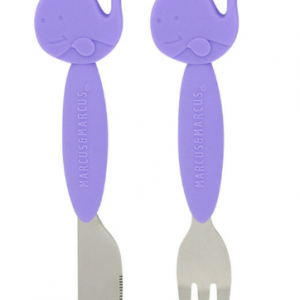 Our knife is designed to be kid-safe with a blunt stainless steel tip that is still able to cut through the food on their plate. 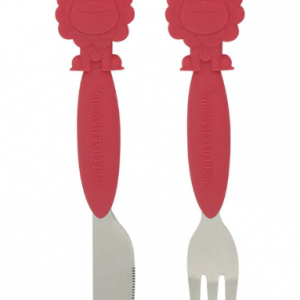 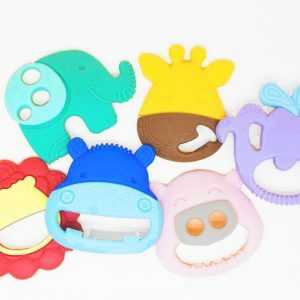 Made little for little hands and with an added silicone grip to keep their small hands from slipping, this knife is the next step for junior’s independence at the dinner table and in the kitchen. 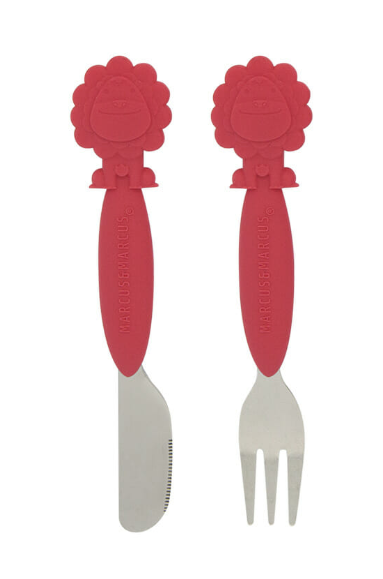 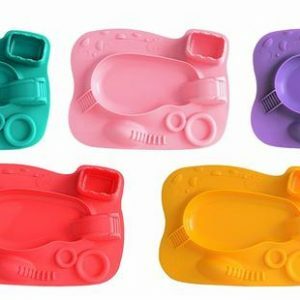 It’s also adaptable for both left and right-handed use and is dishwasher safe for easy clean up.